There are many assumptions made about a student’s performance on visual perception tests. After all, these tests give norm’ed results which can be helpful in goal making and possibly help identify a potential cause for an academic problem. But do the results actually reflect visual perpetual skill? Many factors can hamper the reliability and validity of visual perceptual testing. Visual acuity-is this patient in best correct visual acuity? Have they had an eye exam and been prescribed the appropriate glasses? Do the glasses fit well to allow for the intended benefit? 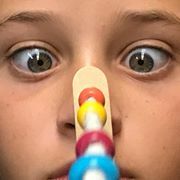 Binocular vision skills?-Poor binocular vision skills can result in double vision and blurred vision up close which can affect the results of visual perceptual testing? These two factors, when not corrected, make for a “garbage in-garbage out” situation and taint the results of the testing. This increases the likelihood for invalid results in the patient. Imagine putting a glove on a patient then asking that patient to identify coins that they are holding in the gloved hand. They would have a difficult time doing this, not because of an inability to process the feel of the coin, but because the stimuli to be interpreted is muted. It becomes difficult to process to the correct conclusion when the initial stimulus is faulty. With best corrected acuity and good binocular visual skills, other factors, such as attention can play a role in visual perceptual testing. Common visual perceptual tests can take as long at 45 minutes. This monotonous testing can make even the most attentive children bored and possibly affect results. Most visual perceptual tests are designed so the child with a visual perceptual problem misses three consecutive items in a section, then advances forward to the next section. When the pattern is irregular (child misses one item then 3 correct then misses two items, then one correct) perhaps attention is playing a role in the test results. In my clinic, I do not test visual perception until after binocular vision issues have been corrected and the patient is in best corrected visual acuity. With these things in place, you will find visual perception intervention much more effective and testing will be more valid and reliable. 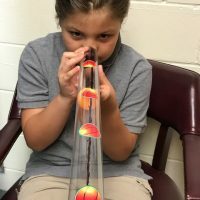 This entry was posted in education, pediatric and tagged ADHD, convergence insufficiency, EOM assessment, eye movements, learning disabilities, neurological rehabilitation, occupational therapy, visual perception. Bookmark the permalink.